Burn any video like FLV to DVD/ISO/DVD Folder/Blu-ray DVD Easily. When surfing the Internet, you maybe find funny videos from time to time on the video sharing sites, such as YouTube, Hulu, Music, MySpace, Metacafe, Google Video, etc. And you will find that the videos posted on these public sites are mostly in the FLV (Flash Video) format. When you download videos from these sites, you'll probably get FLV video files. Want to convert FLV to DVD to watch movies on a DVD player or on TV? Here we recommend Wondershare DVD Creator as the all-in-one Flash to DVD burner. 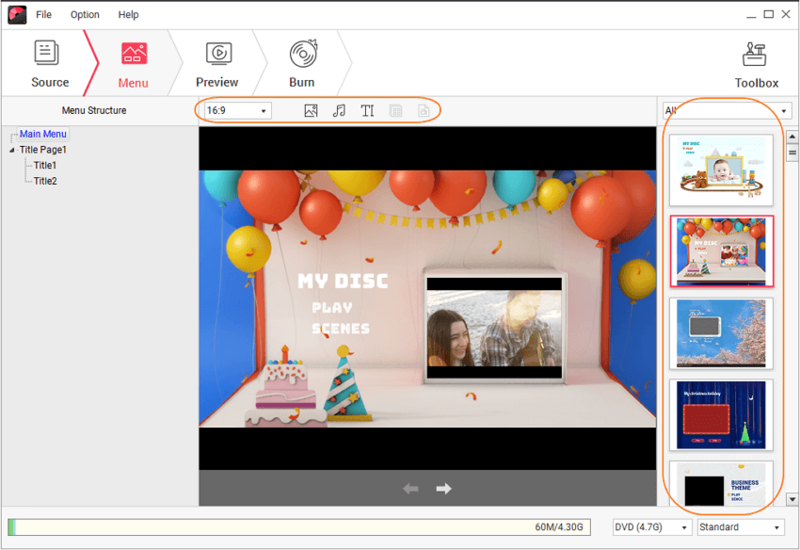 With it, you can not only convert FLV to any format with customizable options for playback with media player or DVD player, but also take FLV on TV by burning to DVD disc with high quality. Now, let's walk through below step by step guide on how to burn Flash to DVD quickly and easily. · Burn FLV to DVD/ISO/DVD Folder/Blu-ray DVD on Windows/Mac. · Additional functions like photo slideshow, video editor, one-click to burn FLV to DVD/Blu-ray Disc, DVD to DVD, Data Disc, and others. · Customize FLV to DVD menu with different parameters like title, music, picture etc. · Offer 100+ free static and dynamic menu templates. 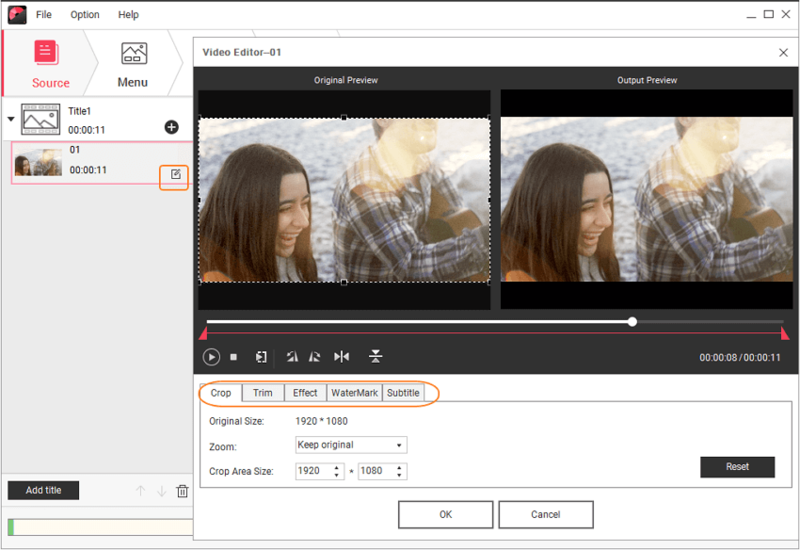 · Build-in editor to personalize FLV videos by trimming, cropping, adding subtitles or effects etc. · Convert FLV files to DVD with super fast speed and high-quality output. Note: This program is cross-platform,and below guide takes the Windows version as the example. Burning FLV to DVD in Mac takes the same steps. If you happen to running on Mac, you can follow the similar steps to convert FLV to DVD Mac. Step 1 Load FLV videos to FLV to DVD burner. Launch this FLV to DVD converter, choose Create a DVD Video Disc option on the homepage. Then click the + button under the Source tab to load your source FLV video files. Directly drag and drop files present on your computer is also OK.
After all FLV files are added, you can see the thumbnails in the left together with the video name and length. If you want to eidt your FLV videos, click the pencil-like icon on the thumbnail to open the Video Editor window. A wide range of editing tools are built in: Trim, crop, rotate, watermark, effects and so on. Click OK button to confirm changes. Step 2 Author DVD menu (optional). Click the Menu tab, you'll come to the Menu authoring window. There are different styles of built-in templates for you to choose (No menu is also included). 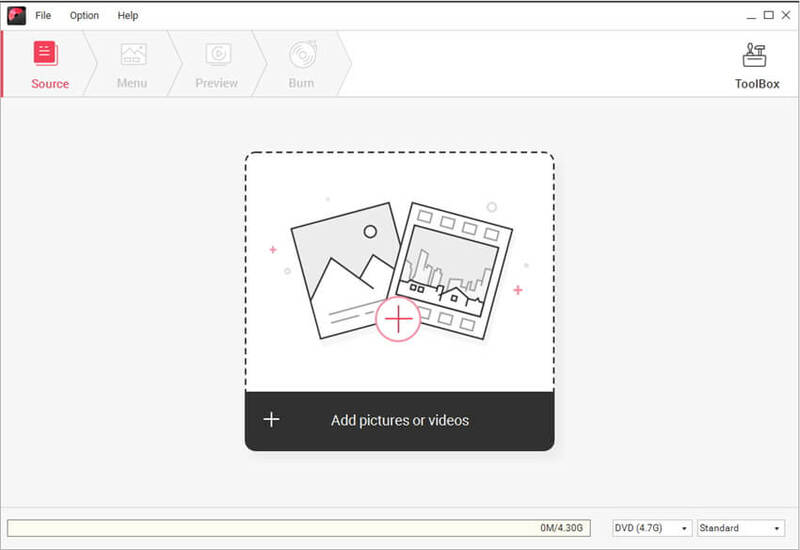 Double click to apply a menu template, and you can also change background music, image, add text, and others by click icons on the top of the interface. Step 3 Preview and burn FLV to DVD. Before burning FLV videos to DVD disk, you can preview your creation by hitting Preview tab. If there is something you're not satisfied so much, just back to Source or Menu tab to make changes. Click the Burn tab and choose Burn to disc option, then you can further design the disc label, TV standard, burner, disc playback mode and folder path in Burn Settings. Lastly, insert a blank disc into your computer and hit Burn button to convert FLV to DVD. When FLV DVD disc writing complete, the FLV DVD disc will eject automatically so that you can directly insert into normal DVD player to play FLV videos on TV. Cool? Do it now. Below is the YouTube tutorial of easy steps to convert Flash to DVD. Maintain or improve the video quality when burn FLV to DVD. Since the FLV is a proprietary file format for publishing and sharing videos online due to its high rates of compression and facilitating online delivery, the video quality is usually not quite good. Therefore, when making DVD from FLV files, do whatever you can to maintain or improve the video quality. Ensure that you have selected the right TV standard: "NTSC" is used in USA, Canada and Japan, while "PAL" used in Europe and Asia. Make sure to choose "High Quality" as long as the size hasn't exceed the limit. If necessary, also convert Flash video to DVD folder or ISO image format and save to computer.